Jack Leeder proved what kind of an athlete he was on the football field and wrestling mat at Orrville High School. True proof of his athleticism, though, may have come in his only season of baseball at OHS. As a first-time player in 1986, Leeder batted .408 and earned first-team All-Ohio League honors for the Red Riders. Leeder made his mark mostly in football and wrestling, earning seven letters during his high school career. 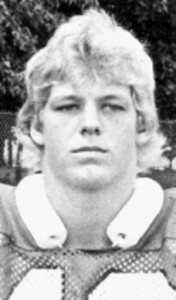 As a rare four-year letterwinner in football, Leeder excelled on both sides of the ball, as a fullback and linebacker. Running the football, he gained more than 3,000 yards for OHS. As a linebacker, Leeder was named first-team all-district and all-state his senior year. Leeder was a first-team All-Ohio League selection in both 1984 and 1985, and was the AOL Player of the year in 1985. In 1984, he was honorable mention all-state. In wrestling, Leeder won three letters at Orrville, qualifying for the state tournament and winning team MVP honors all three years, as a freshman, sophomore and junior. Leeder also led the Red Riders in pins in both 1984 and 1985, years in which he won the All-Ohio League championship. In 1984, he finished third in the state at 185 pounds. That set the stage for an incredible junior season, during which he won all 30 of his bouts en route to the 185-pound state championship. After graduation, Leeder went to Ohio. University on a football scholarship. At Ohio U., he played four years of varsity football.